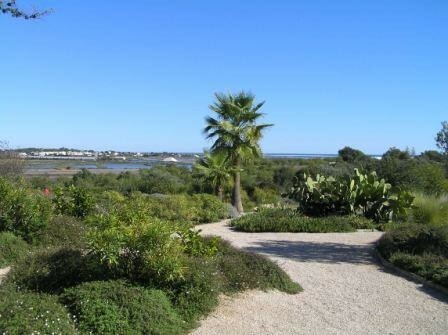 The house is on top of a hillside with a fantastic view at the ocean and the lagoons of the natural park Ria Formosa. 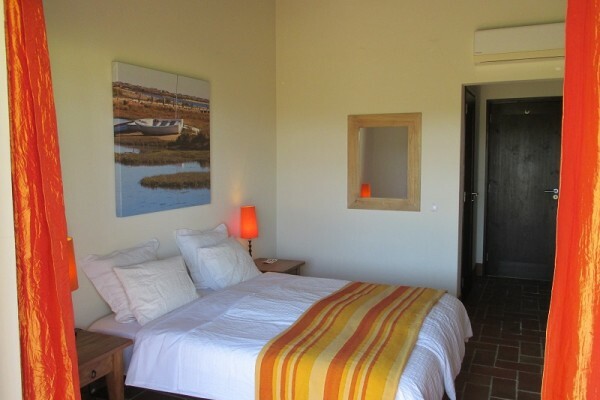 Besides are own private part there are 6 rooms available for our guests.The swimming pool with sun beds, the practice geen and the garden are at your disposal. The vast breakfast is served on the terrace at the swimming pool or in the lounge during the winter time when the weather is less nice. There is wifi available in the rooms and around the house and in the lounge you can also find books, games and everything you need to play bridge. In the close surroundings there are a number of nice restaurants. Walking and bicycle routes are available (GPS). We can help you with a rental car, greenfees or trips. Each room has a view at the swimming pool, the natural park Ria Formosa and the sea and is provided with: a bathroom with a shower and toilet, air-conditioning, heating, free wifi, safe, hairdryer, TV, coffee/tea facilities and a well filled refrigerator so you can take your drinks against a small payment. Your room will be cleaned every day, clean towels every day, bed linen will be changed once a week. 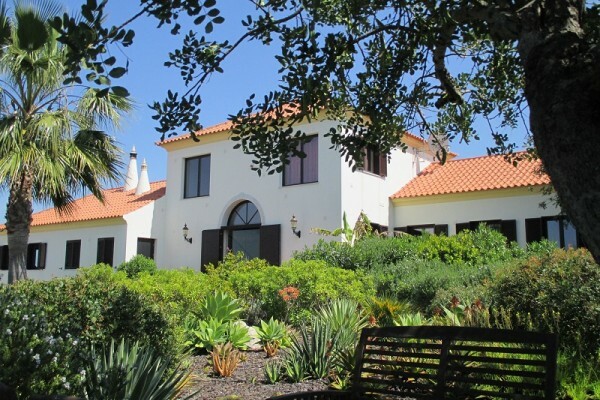 Because of the central location and the little train station of Fuseta, which is really close, you can easily visit a large part of the Algarve. Even if you don't have a (rental) car. These rooms each have their own terrace with furniture and direct access to the garden and the swimming pool. This room has one entrance, two separate bedrooms (each suitable for 2 persons but one is a bit smaller), one bathroom and a balcony with furniture. This room has a French balcony (two opening doors with a ballustrade). No experiences yet with B&B Villa Laguna. Be the first! Did you stay in B&B Villa Laguna? Let us know what you thought about it and help others to make the right choice! * I confirm having stayed in B&B Villa Laguna.